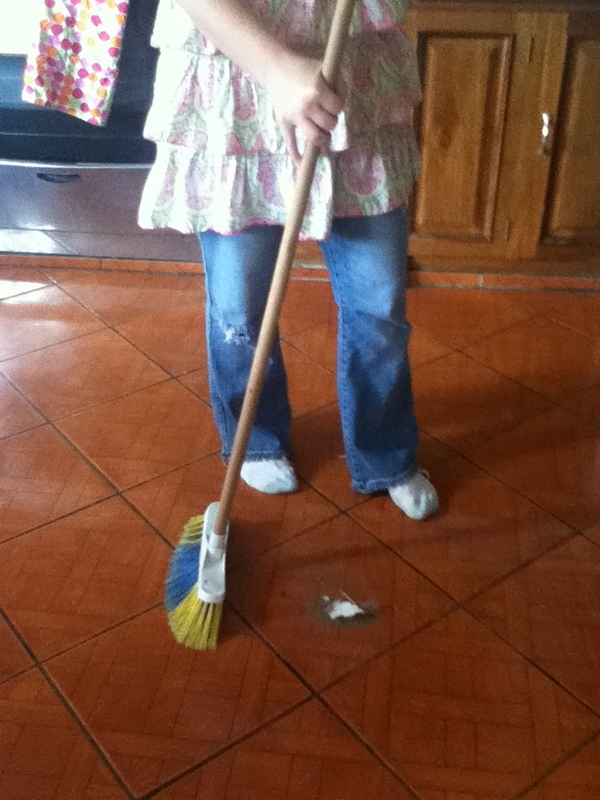 I’m not a fan of mopping floors. In fact, one of the reasons I don’t like having all hardwood floors in a house is the amount of mopping that it requires. Well, beggars can’t be choosers, as they say, and my apartment is filled with tile and hardwood floors. 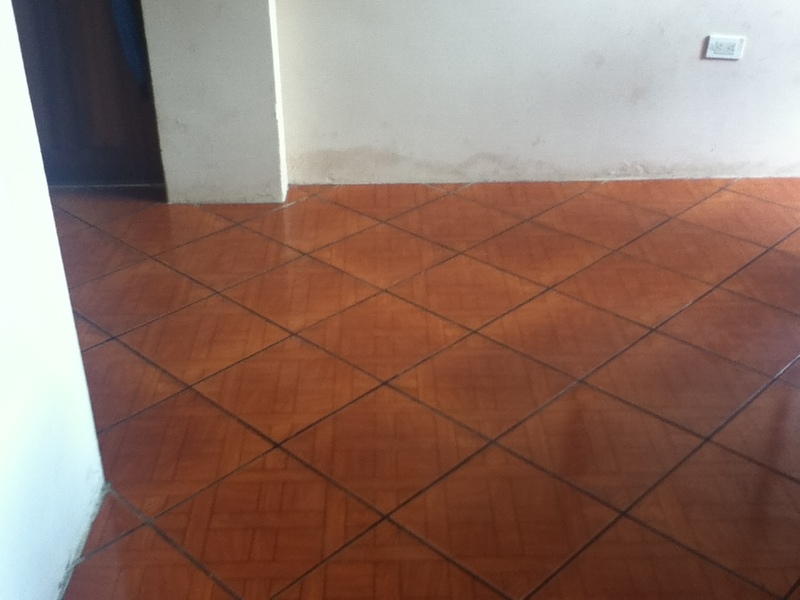 No carpet – anywhere. 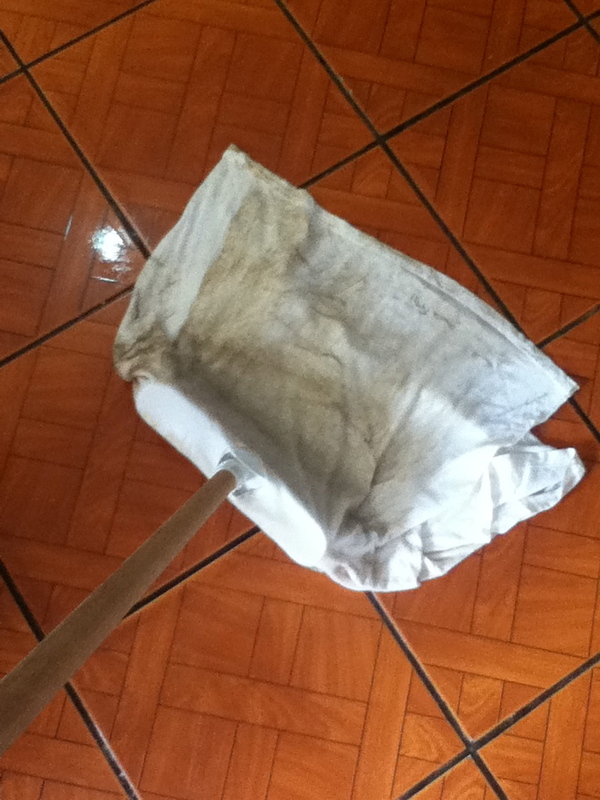 Add bare floors to the amount of mud and dust one accumulates on their shoes here in the jungle, and you have yourself a mopping marathon. Here’s a quick tutorial with pics and all! 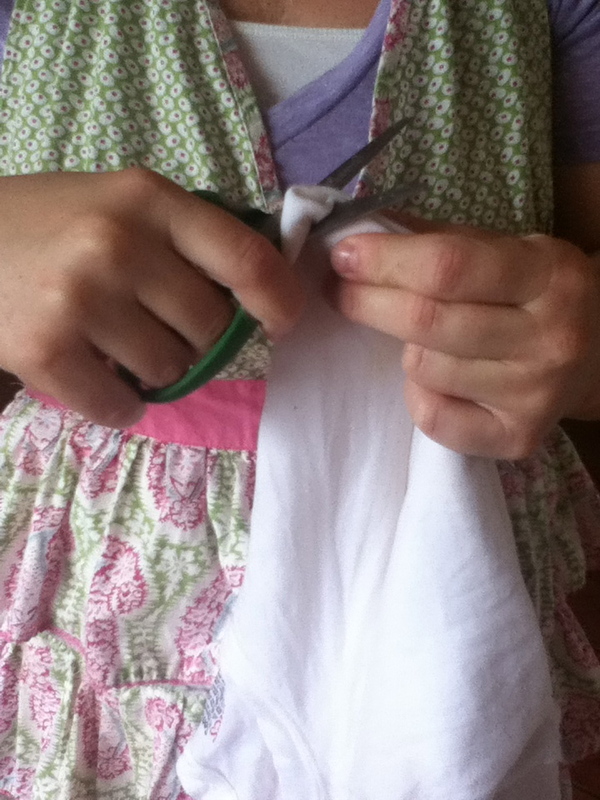 Step Three: Wet your ratty old t-shirt, wring it out, then fold it in half. 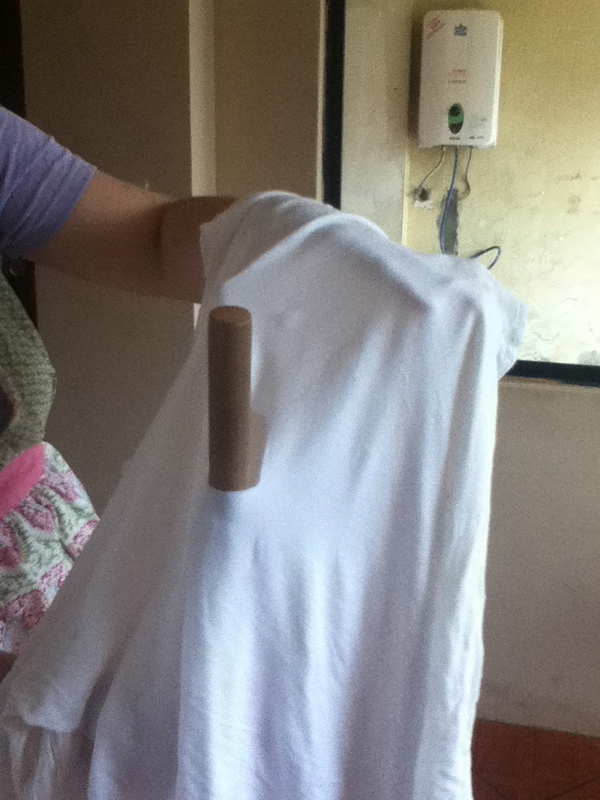 Step Five: Open the t-shirt back up and slide the broom handle through the hold in both layers. 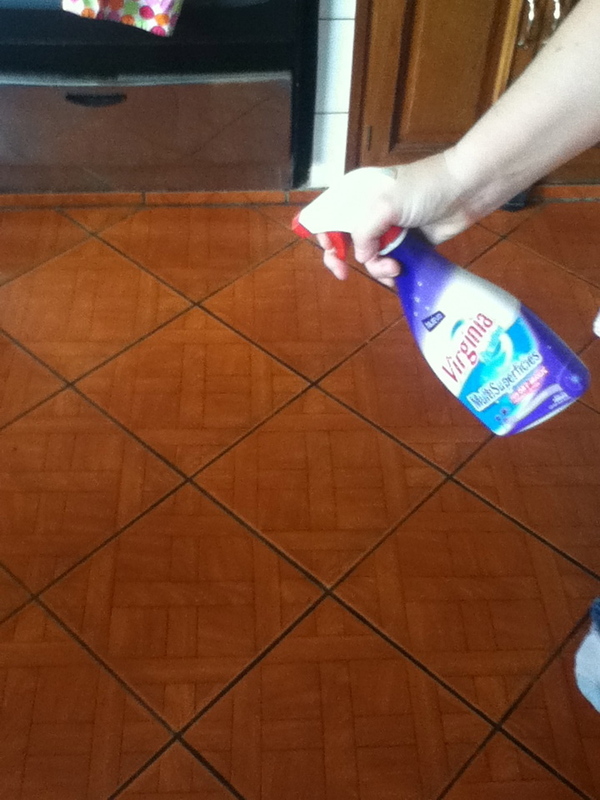 Step Six: Spray a small area (4’x4′) of the floor with your cleaner. 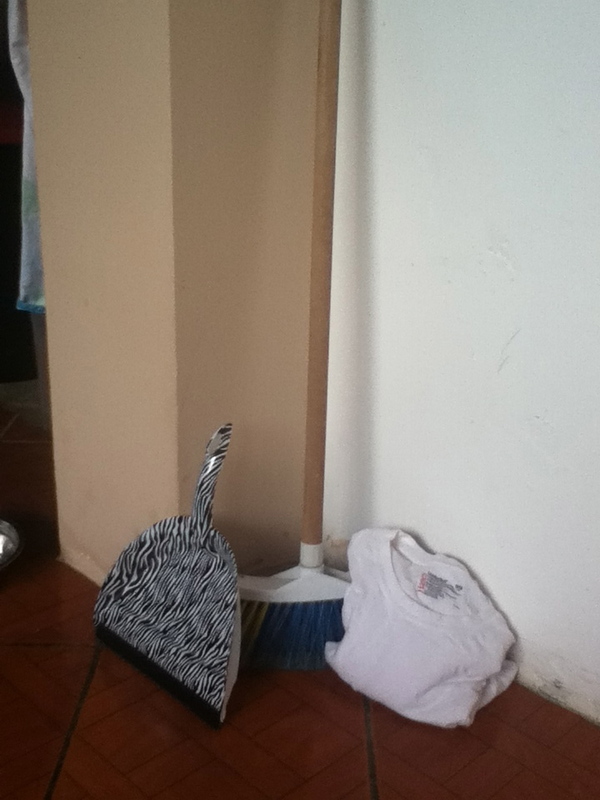 Step Seven: Mop over the area as shown using one side of the t-shirt. 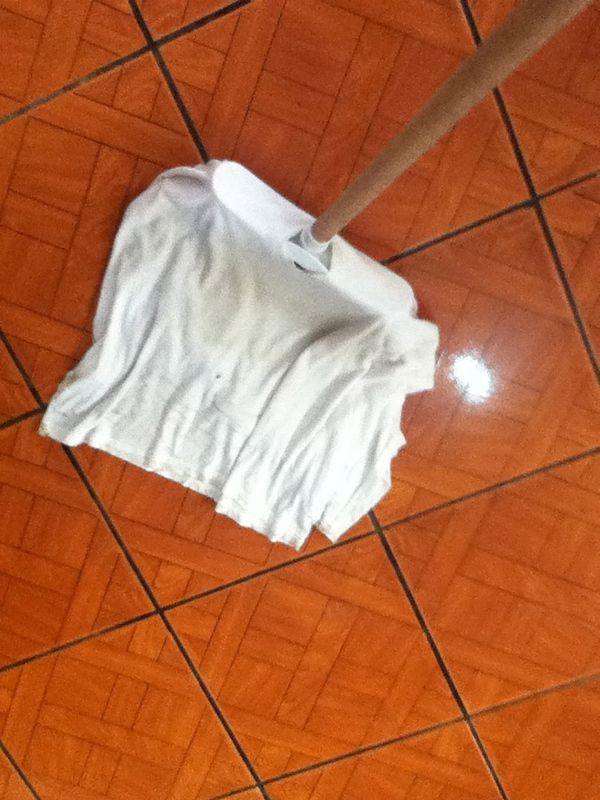 Step Nine: Now you have a clean floor and a dirty t-shirt. 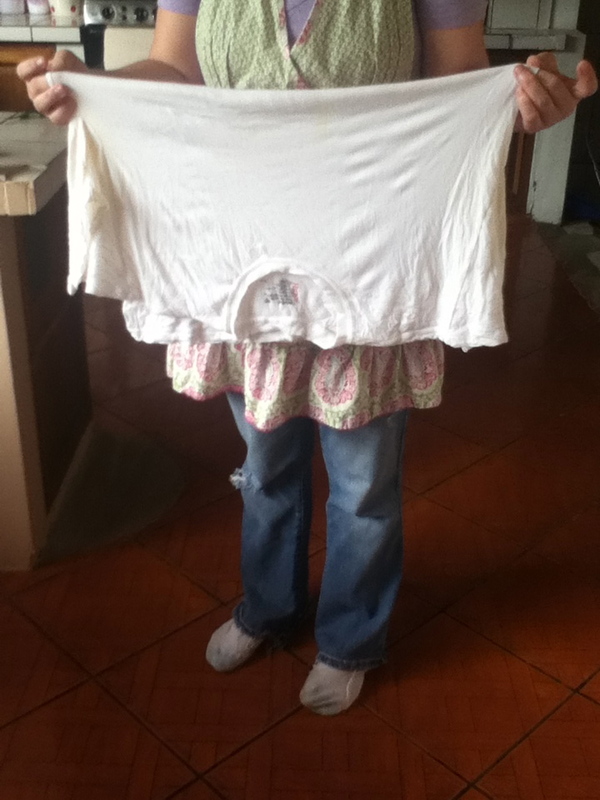 The good news you simply wash the t-shirt and have it ready for the next time you need to mop. 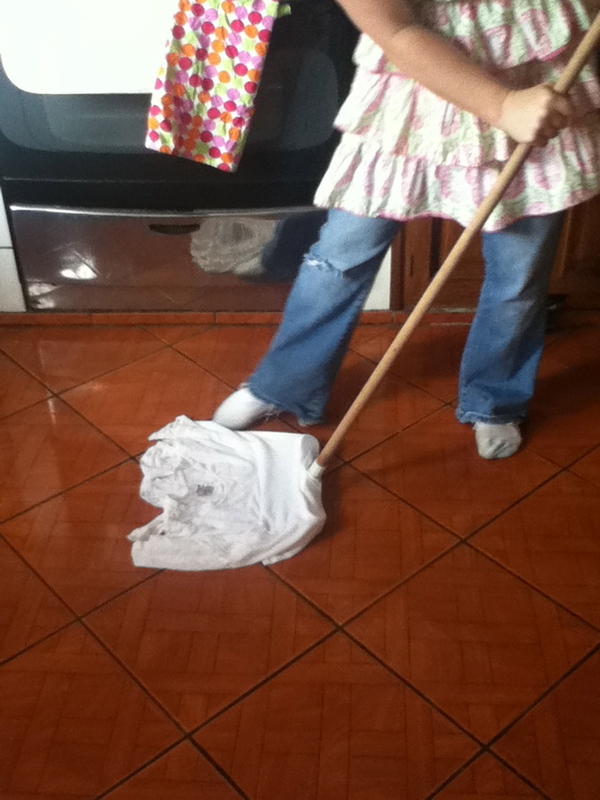 Let me know how what happens when you go all Latin America with your mopping skills. 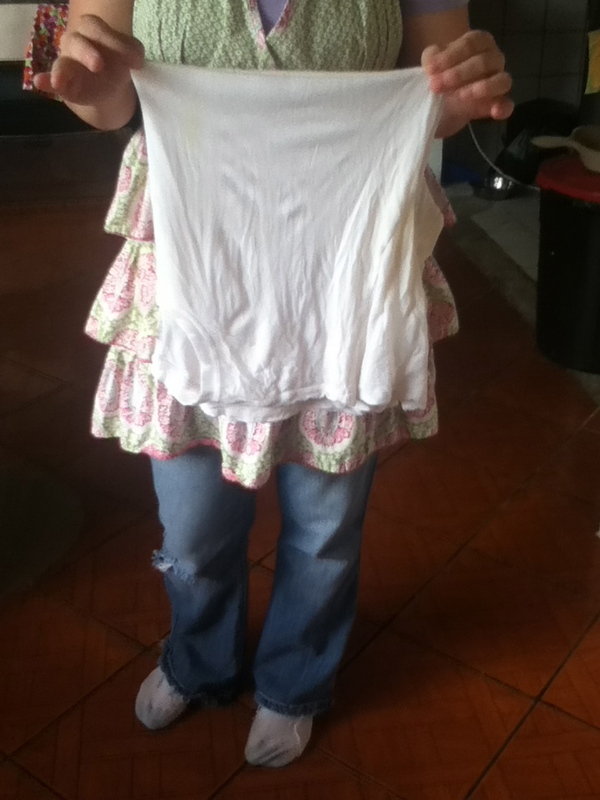 This entry was posted in Missions on June 8, 2012 by aliciachall28. Very interesting. Makes one appreciate the conveniences of modern day products with batteries. Great article.